A large mistake of lots of people is that they do not think much about the quality when they purchase marijuana products. You should be aware of the pop you are going to try. You must know what you are going to pay for. That's why the information concerning of marijuana’s grades is handy in this case. You should know how to distinguish between the low grade, the middle grade, and the high-grade weed. You will find all the necessary information of the marijuana’s grades, their characteristics and effects below. Marijuana goods are graded into three categories. These are low grade, middle grade, and the high grade. Each of those categories meets its properties. For example, the low-grade weed is known to be the worst quality. It has not a great effect on a human body and health and is not used medically. When it applies to the middle-grade weed, it becomes obvious that such marijuana products are better than the previous example. The mid-weed has a nice, but the not distinguished aroma and the taste are much better. The last, but not the least, is the high-grade weed. It is the best quality marijuana that possesses not only nice smell and good taste but also much more different interesting positive features. The low-grade weed is the worst quality marijuana product that possesses the least impact on a human body and health. Such low-quality pop provides a short effect. It does not provide its stoners with any healing effect or possess very slight healing properties (it depends on the kind of marijuana itself). In order to help you to get familiarized with the low grade weed, some names of such pop are here: ditch weed, schwag, bunk, dirt, Reggie, brick bud, shake, and wack. Owns a poor, weak, or musty smell. Provides difficulties with smoking, namely pain in chests. Has at least few seeds. Contains at least several crystal-like trichomes. The low-grade weed has a quick, but relatively mild effect. However, low-grade weed will never treat any serious ailments or illness. 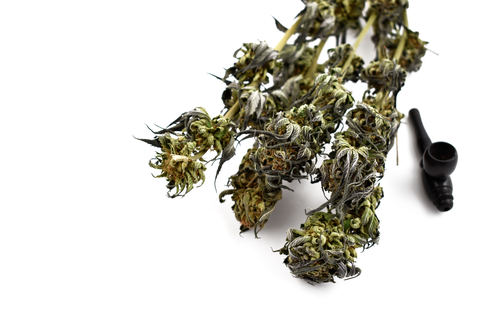 You should forget about therapeutic properties when it applies to the low grate weed. In any case, the worst pot is still pot. You should not expect much from low-grade weed. What is mid grade weed? It is middle-quality marijuana, which is better than the low-grade weed, but worse than the high-grade one. Names of the mid-weed products: Mid-shelf, Mids, Regs, and K-town. The mid-grade weed possesses enough qualities to make its stoners satisfied with their choice. The average moisture level may be either a little dry or a little too hydrated. Burns a bit smooth and often produces a gray ash. Well, it is obvious that mids weed is much better than the low-grade weed. Of course, it is not so pretty potent as the high- grate weed, but it also has a great impact. It applies to smell, effect, and taste. The mid-grade weed makes the consumers hungry. Of course, every person will experience the influence of weed differently. Someone will be so hungry that they will be ready to eat own shoes, while others will be only a bit starving. The mid marijuana provides its consumers with the mellow and nuanced kind of buzz. Moreover, it makes people more relaxed. Depending on the mid-grade weed strains, the stoner may treat some illnesses (according to the medical prescription). The high-grade marijuana worth its cost. The effect of this weed lasts for a few hours and has a positive and beneficial influence on a human health. The high-grade weed will not leave any pain in muscles, dizziness or nausea. That’s why it is a perfect choice to take an advantage of the high-grade pop. Names of the high-grade weed: Top Colas, Dank, Kill, Fire, Flame, Top-shelf, and Kine bud or Kind Bud. Usually, is stored in airproof containers. Is grown from seeds or clones with superior genetics. Goes with a wide array of colors, ranging from greens to pinks, blacks, purples, blues, and reds. Obtains nutrient, pesticide, and pathogen-free. Burns somewhat smooth and can create a nice white ash. It is often sticky to the touch. Obtains dense coating of trichomes. Hydrated with about 60- 65 percents of humidity. Obtains a nice smell/ aroma. As expected, the high-grate marijuana is potent. The higher grade weed you try, the higher effect you will get. The high-grade weed will kick in hard and quick. It is not like the previous two graded weed types. Thanks to the high-quality effects, the high-grade weed is handy in treating pain or mitigate the effects of anxiety or depression. As you probably know, marijuana products are widely used in order to treat people. However, it does not apply to low-grade weed. Of course, mid-grade marijuana is a good choice for treating ailments. But the high-grade weed is used medicinally the most. If it is your first time when you try out the marijuana products, most likely it is not a good idea to start with the high-grade weed. If you possess a pretty developed tolerance, then you should expect a big bag of sticky hairy dense weed will subdue you for a while. When you buy marijuana products, you need to know what the product’s grade is. Do not allow someone to fool you because nowadays it is a common thing to get caught up in the cheat. Be aware of the risk of purchasing the worse product that you want. Keep in mind the information about low, mid, and high-grade weed characteristics in order to make up own mind and choose the marijuana type you want the most.